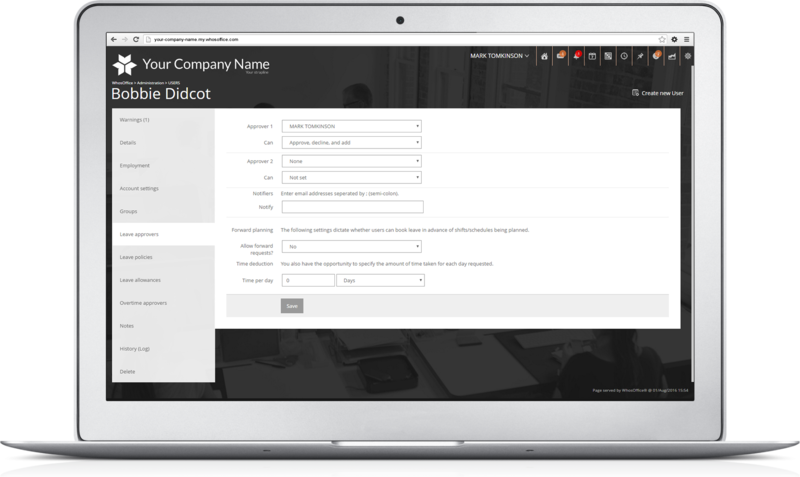 WhosOffice lets you record staff information from basic contact details to yearly leave entitlement. You set up approvers for leave and overtime (if required) and also a staff member's location, time zone and date formatting options for international users. You can also set up Active Directory access to allow your staff to log-in using their existing office credentials. A "bulk import staff" option means you can download a "smart" spreadsheet template (this will pick up on the groups, regions and work patterns you have already entered in the system) to quickly get your staff setup in WhosOffice. With WhosOffice you can create a list of competencies/skills e.g. "First Aider" or "Level 3 Engineer" and then allocate to one or more staff members as appropriate. This then becomes a great feature when planning your shifts and rotas. Numerous reports let you quickly review staff working hours, leave entries and overtime. All reports and exports can be viewed by one or more groups of people.